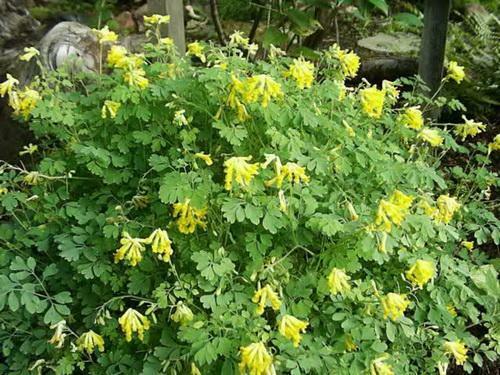 Description: This plant is a summer annual about 3-5' tall that branches dichotomously. 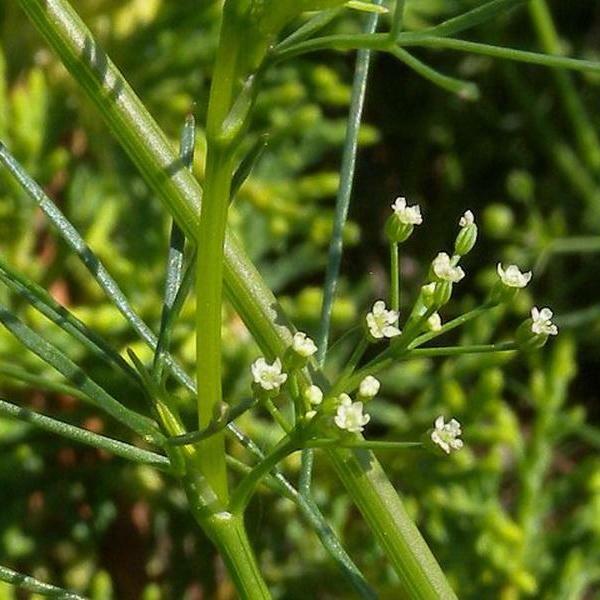 The stems are green or purple and largely hairless, although young stems often have conspicuous hairs. The alternate leaves are up to 8" long and 6" across (excluding the petioles). They are ovate or ovate-cordate in outline, but pinnately lobed. These lobes are somewhat shallow and pointed at their tips; there are usually 2-3 of these lobes on each side of the leaf blade. The margin of each leaf may have a few secondary lobes or coarse dentate teeth, otherwise it is smooth or slightly undulate. 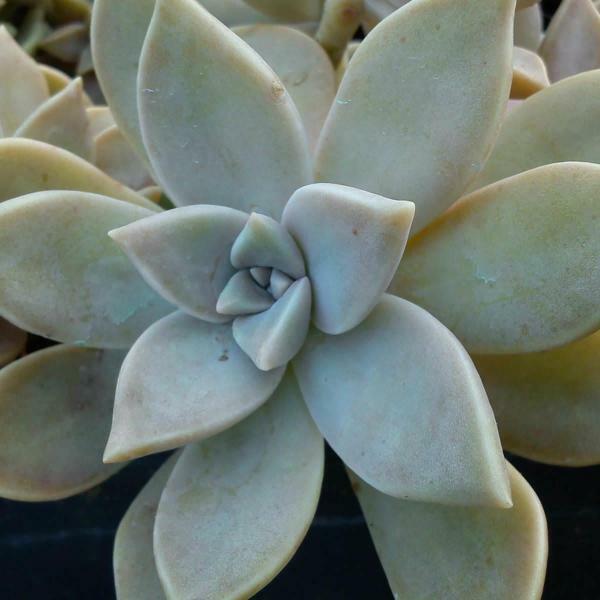 The leaves may be slightly pubescent when young, but become hairless with age; the upper surface of each leaf is often dark green and dull. 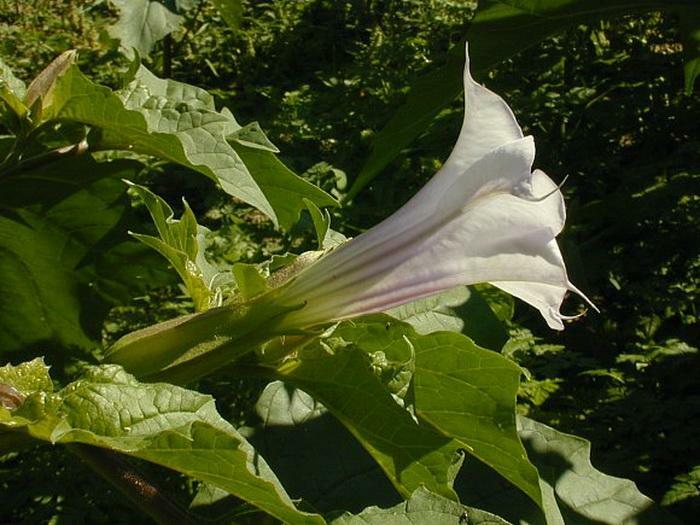 The foliage of Jimsonweed exudes a bitter rank odor. 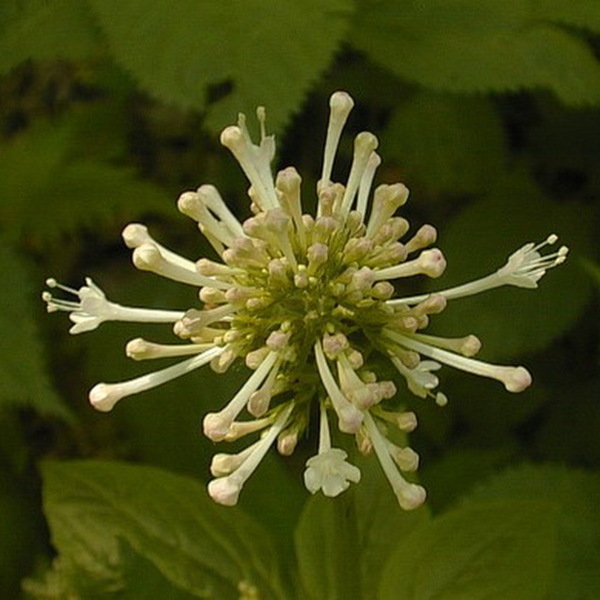 Individual flowers occur where the stems branch dichotomously; the upper stems also terminate in individual flowers. 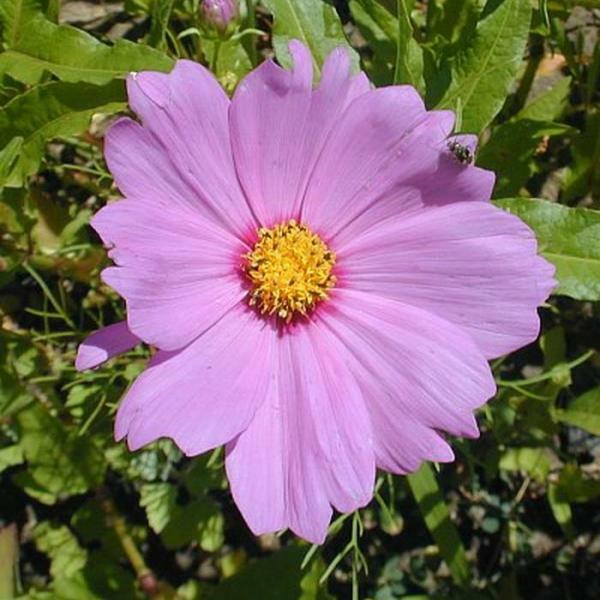 The funnelform corolla of each flower is up to 5" long and 2" across when fully open; its outer rim has 5 shallow lobes. Each of these lobes forms an acute point in the middle.The corolla is white or pale violet throughout, except at the throat of the flower, where thick veins of dark violet occur. The light green calyx is shorter than the corolla and conspicuously divided along its length by 5 membranous wings. 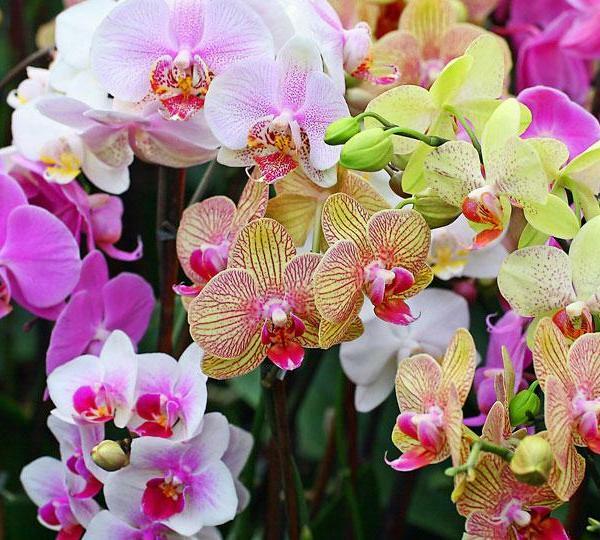 The blooming period occurs from mid-summer to early fall and lasts about 2 months. 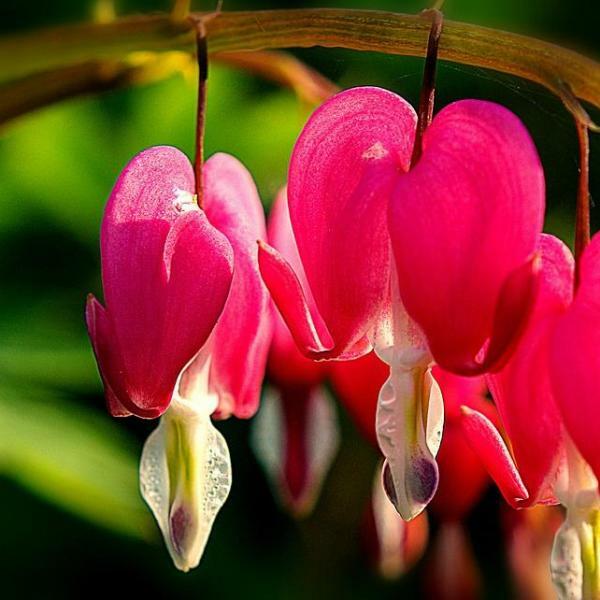 The flowers usually don't open up until midnight and close early in the morning; less often, the flowers may bloom toward the middle of the day, especially when it is cloudy. Individual flowers last only a single day. 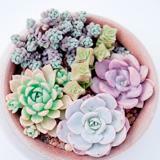 Each flower is replaced by a hard fruit that is dry and spiny; it is about 1½" long, 1" across, and spheroid-ovoid in shape. Underneath each fruit is a truncated remnant of the calyx that curves sharply downward. These fruits are initially green, but become brown with maturity; they divide into 4 segments to release the seeds. The large seeds are dull, irregular, and dark-colored; their surface may be pitted or slightly reticulated. The root system consists of taproot that is shallow for the size of the plant; it branches frequently. Jimsonweed spreads by reseeding itself. 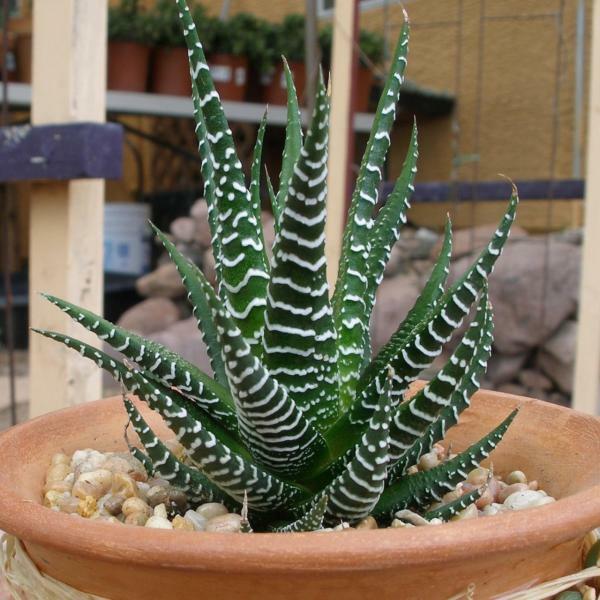 Cultivation: The preference is full or partial sun, moist to mesic conditions, and a rich fertile soil with high nitrogen content. This type of soil is necessary to supply the nutrients that are required by the prodigious growth of this annual plant. 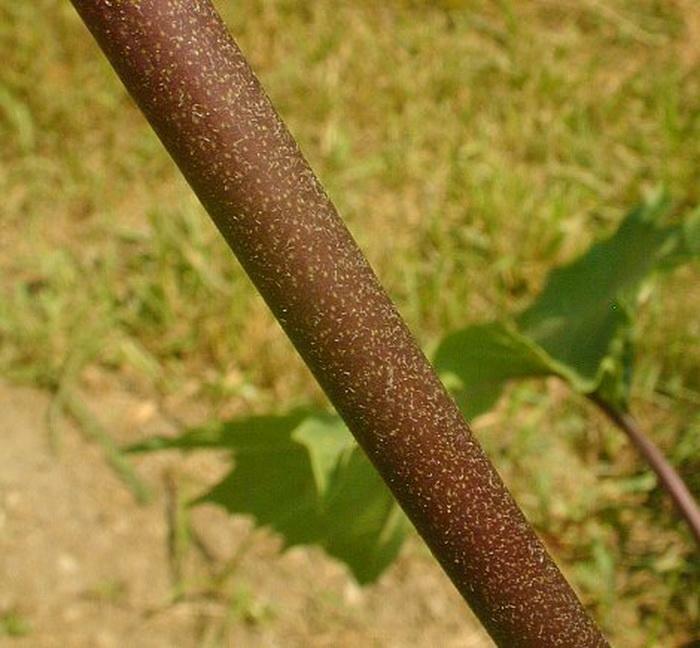 The foliage is often pitted by tiny holes that are made by flea beetles (the same or similar species that attack eggplant). The seeds can remain viable in the ground for several years. Range & Habitat: Jimsonweed is a fairly common plant that has been observed in most counties of Illinois (see Distribution Map). 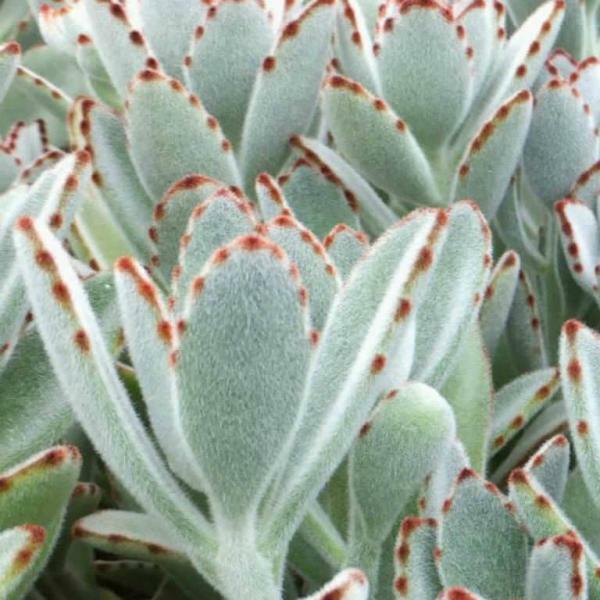 It is probably adventive from tropical America and it was first observed in the United States at the Jamestown colony during the 17th century. Typical habitats include cropland (particularly corn fields), fallow fields, old feed lots, piles of soil at construction sites, mounds of decomposed mulch and discarded vegetation, urban vacant lots, and miscellaneous waste areas. Disturbed areas with open fertile soil are strongly preferred. Faunal Associations: The flowers are cross-pollinated by nectar-seeking Sphinx moths. Various species of beetles are attracted by the flowers, especially at night, where they steal nectar and chomp on the pollen. The foliage and other parts of Jimsonweed are a source of food for several flea beetles (Epitrix spp. ), Three-lined Potato Beetle (Lema daturaphila), Colorado Potato Beetle (Leptinotarsa decemlineata), Clavate Tortoise Beetle (Plagiometriona clavata), and larvae of the Pink-spotted Hawk Moth (Agrius cingulata); see Clark et al. (2004) and Covell (1984/2005). 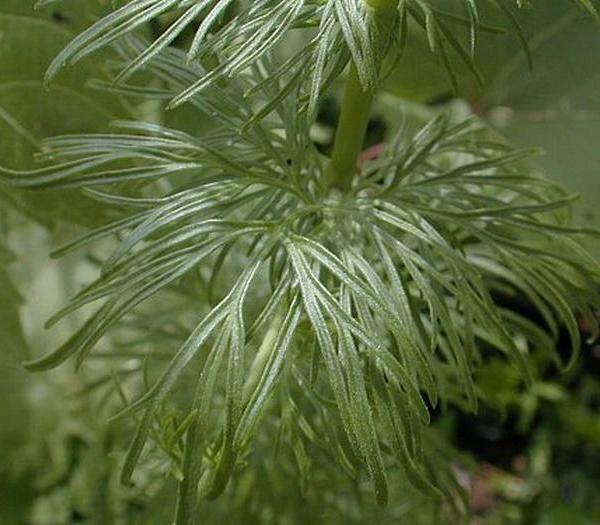 The foliage and seeds contain an impressive assortment of toxic alkaloids that can be fatal to mammalian herbivores and humans. Some of these alkaloids are mildly narcotic and hallucinogenic. 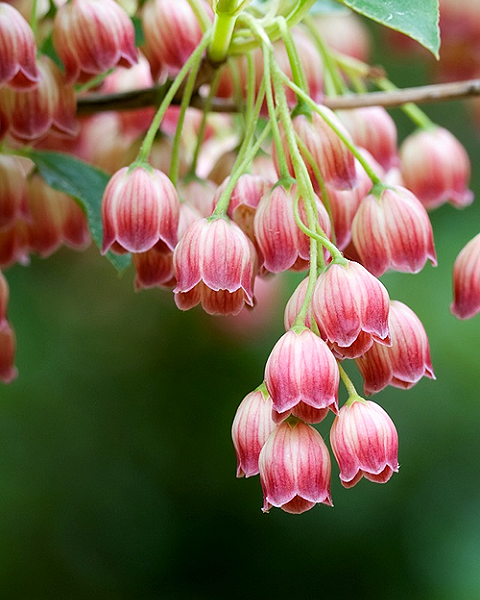 The immature seeds are especially poisonous; as few as 20 seeds can fatally poison a child. It is doubtful that birds make any use of these toxic seeds. Humans help to spread the seeds around through activities that are related to agriculture, construction, and landscaping. Photographic Location: Near piles of soil at a vacant lot in Champaign, Illinois. These piles of soil were dumped and occasionally carried off by trucks in relation to off-site construction and landscaping activities. 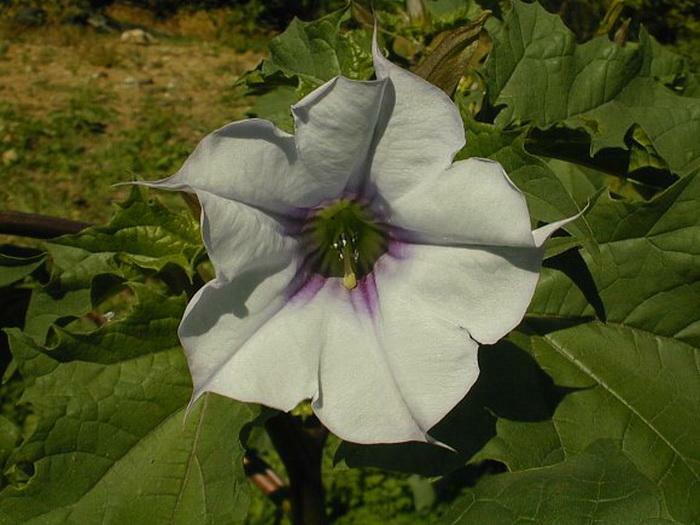 Comments: The common name 'Jimsonweed' is probably a corruption of 'Jamestown Weed,' referring to where this species was first observed in North America. 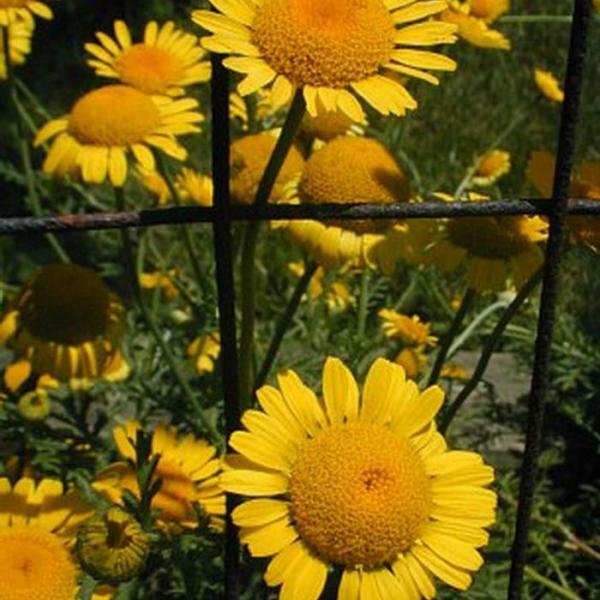 Another common name that is often used for this species is 'Thornapple.' Two varieties of Jimsonweed have been described. 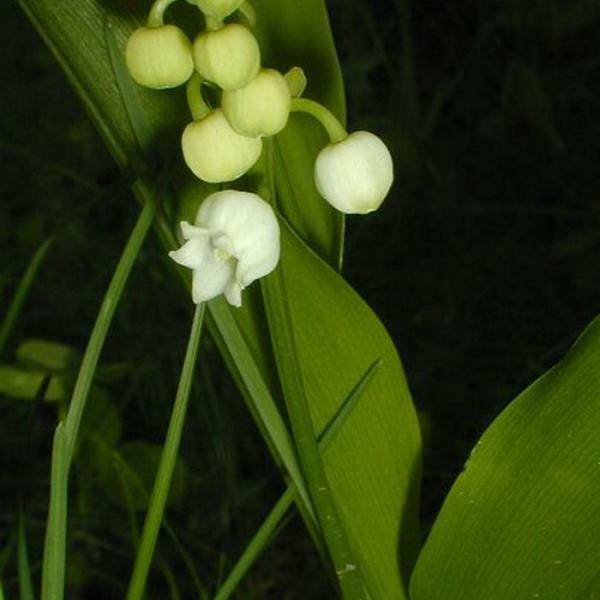 The typical variety has green stems and white flowers, while var. 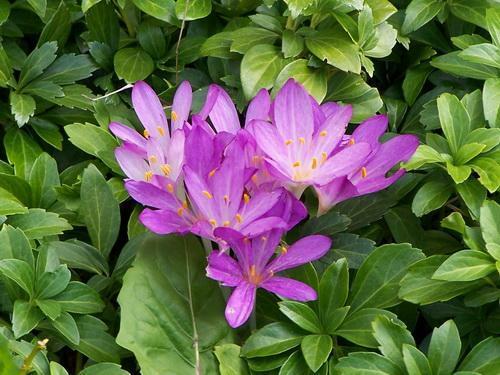 tatula has purple stems and either pale violet or purple-striped flowers. 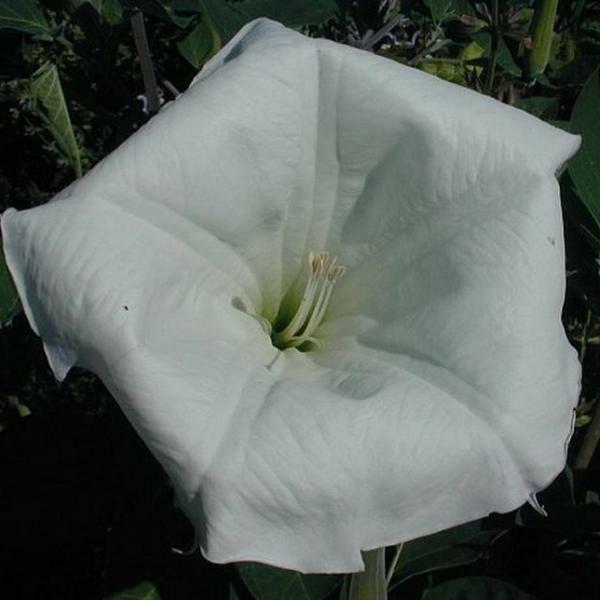 Jimsonweed has a distinct appearance, making it easy to identify. 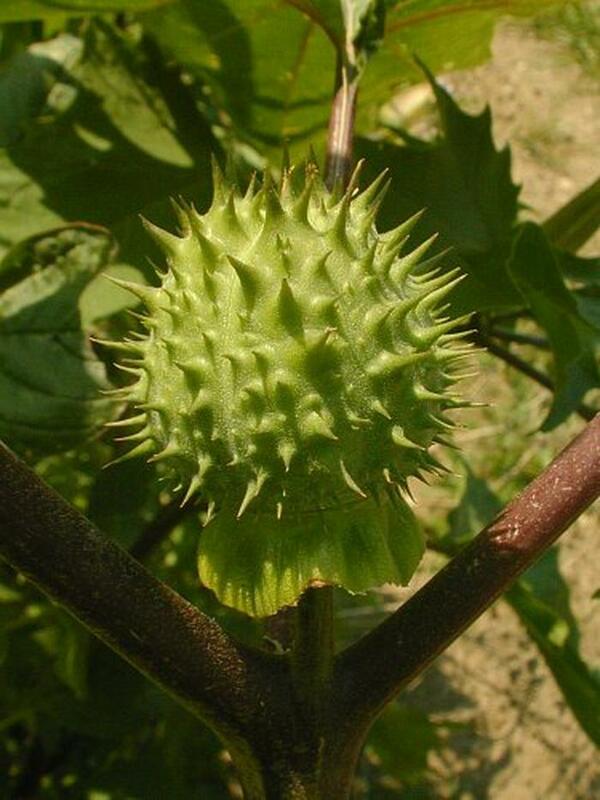 The only other Datura spp. 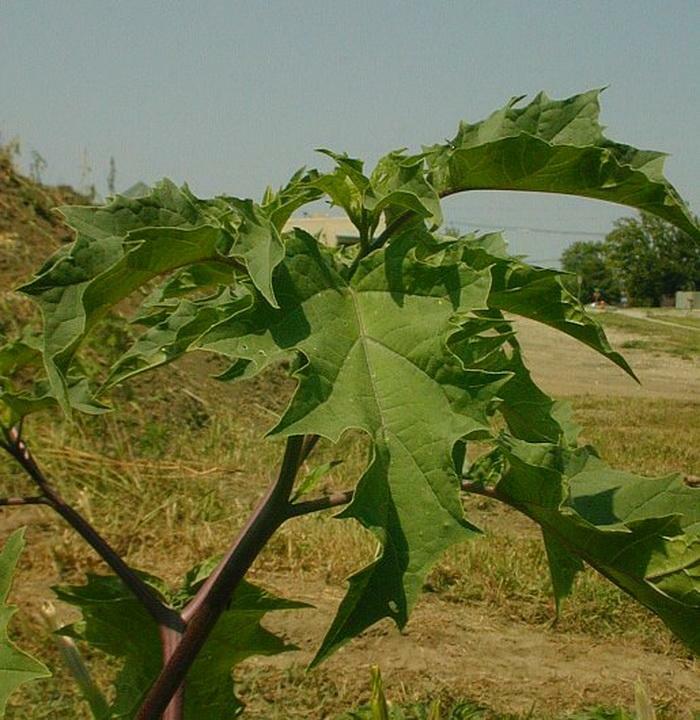 in Illinois, Datura wrightii (Angel's Trumpet), rarely naturalizes in the wild. 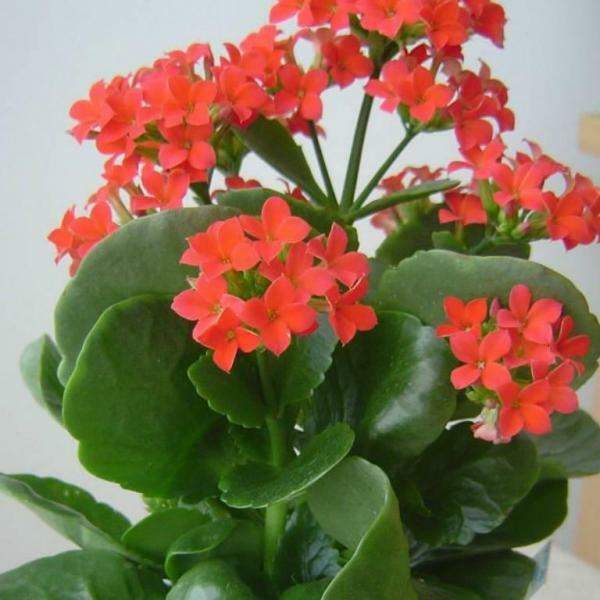 It is sometimes cultivated in flower gardens because of its attractive flowers. Angel's Trumpet is a hairier plant with unlobed leaves and larger flowers. 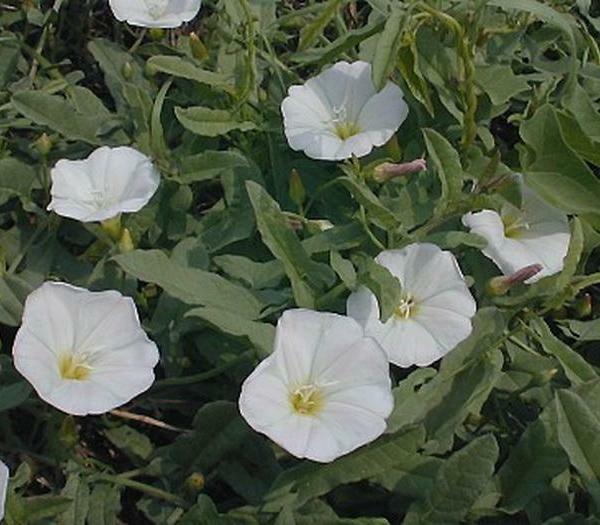 The corolla of its flowers ranges from 5-8" in length, while the corolla of Jimsonweed's flowers is about 3–5" in length. Both of these Datura spp. 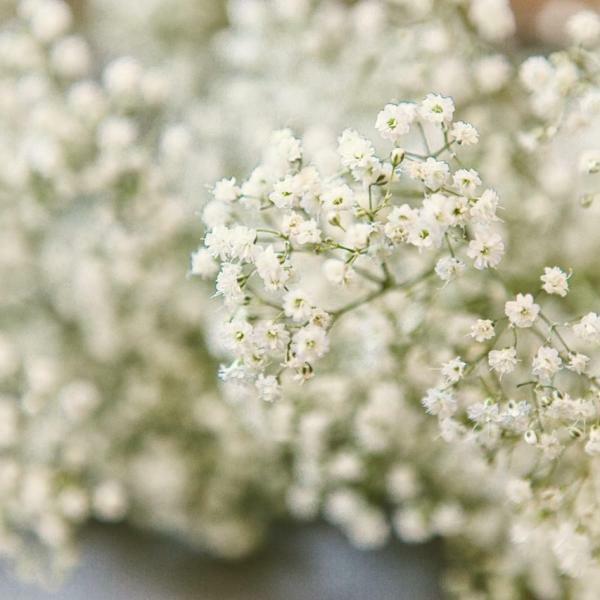 have flowers that bloom during the night. Another species in the Nightshade family, Nicandra physalodes (Shoofly Plant), also rarely naturalizes in the wild. The Shoofly Plant has foliage that is similar to Jimsonweed, but its funnelform flowers are much smaller (less than 1½" long and across). 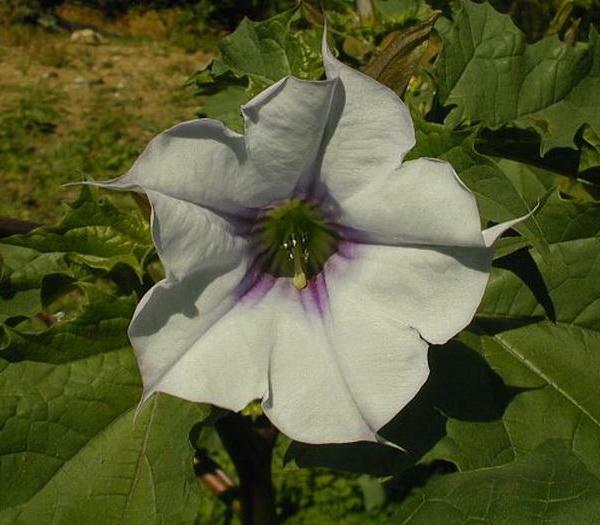 Unlike Jimsonweed, the flowers of Shoofly Plant are strictly diurnal.